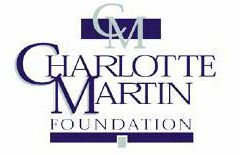 The Charlotte Martin Foundation is a private, independent foundation dedicated to enriching the lives of youth in the areas of athletics, culture, and education and also to preserving and protecting wildlife and habitat. Our two areas of focus – youth and wildlife – were established by our founder, Charlotte Yeoman Martin, during her lifetime, and continue today as a legacy to her generosity. Youth are the future. We need to encourage them to explore their passions and develop their skills through education, culture, and athletics and make strong and lasting contributions to the world. Active involvement in education, creating cultural experiences, and participation in athletic endeavors shapes a lifetime of learning. Stewardship of wildlife and habitat is a fundamental responsibility. We need to preserve the resilience of our vital ecosystems in order to promote biodiversity and the protection of wildlife.